Endoret® is a Biomedical Technology aimed at stimulating tissue regeneration by applying autologous proteins. Hundreds of endogenous proteins affect the tissue repair processes, including angiogenesis, chemotaxis and cell proliferation. No exogenic agent can effectively govern all these processes. ENDORET® technology provides the means necessary for the isolation and concentration of the blood proteins involved in tissue regeneration, as well as its suitable application at the injury site. ENDORET® stimulates tissue regeneration due to its content in growth factors, in greater concentrations than those of blood. Enables the balanced and gradual release of a large number of molecules, including growth factors and other proteins. and adapt them to the different clinical goals. 100% Autologous product, there are no incompatibilities nor risk of rejection. All the formulations of ENDORET® have a bacteriostatic effect, especially during the 4 hours after application. More than 700,000 patients have been treated in more than 20 countries, without any adverse effects being reported. The use of Endoret® significantly increases the success rate in treatments with dental implants. When the surface of the implants is wetted with ENDORET® liquid a fibrin membrane is formed that adheres to the surface of the implant and releases growth factors and improves the osseointegration. The nano-rough surface of BTI implants is specially designed to boost the biological effects of ENDORET®. Wetting with Endoret® increased the trabecular thickness and maturity of the bone. ENDORET was effective in the surgical treatment of bisphosphonate-associated osteonecrosis of the jaw, achieving closure of the defect in 32 patients in a prospective study. The survival rate of an implant placed in an alveolus post-extraction immediately is 98%, and is a safe, effective and predictable treatment. ENDORET® improves tissue regeneration, and because of its versatility, it can be used in various surgical techniques. The crestal expansion and crestal split techniques in two stages combined with ENDORET® treatment can achieve an average bone expansion of 3.35 mm. The use of ENDORET®, in combination with the block graft, improves the healing of the flap, avoids exposure of the graft, and improves the post-operative outlook of the patient. increases the bone formed and maintains the survival of the bone cells. ENDORET® is effective in the treatment of perforations in the Schneider membrane. restorations in atrophic crests possible without needing to resort to more aggressive techniques. ENDORET® may be an alternative to the use of dermal material used in the field of mucogingival surgery. ENDORET® achieves favorable results in terms of radicular cover and gain in clinical insertion. In addition, it increases the width of keratinized tissue and corrects recession. Treatment with ENDORET® after resecting the necrotic bone increases the activity of the osteoclasts and causes angiogenesis, which can be used as an adjuvant for patients with BRONJ. The results of various studies suggest that treatment with ENDORET® can lessen the risk of developing bROnJ after a dental extraction in high-risk patients in treatment with bisphosphonates. The application of Endoret technology complies with all the regulations required By the Spanish Agency of Medicines and Medical Devices, Food and Drug Administration Agency (FDA) and European Union. For European union our medical devices are identified with CE mark. Exclusive training adapted to medical needs. we share our new clinical research and provide training for innovative, top-quality healthcare. We certify the clinical qualification and experience of our customers with our training certificates. ENDORET® technology is the market leader in the development of specific protocols for tissue regeneration, a pioneering technology manufactured exclusively by BTI Biotechnology Institute. The right concentration of platelets affects the final efficacy. The inclusion of leukocytes increases pain and inflammation and accelerates the deterioration of the fibrin. Enables the formation of the fibrin matrix in situ and the gradual release of growth factors, maintaining its efficacy over time. It is made from the patient's own blood, so there are no known adverse effects. The protocol for the preparation process and its clinical application is strictly defined and tested. 4 therapeutic formulations obtained in the same process means we can adapt the product to the patient's clinical needs. The application of Endoret® technology complies with all the regulations required by the Spanish Agency of Medicines and Medical Devices, Food and Drug Administration Agency (FDA) and European Union. The ENDORET® closed-technique system complies with the highest standards of quality. Both the system and the materials have the CE health certificate awarded by TÜV for specific application to oral surgery. BTI has the greatest clinical support in the world published in this field; its effectiveness is proven in more than 100 international scientific publications. 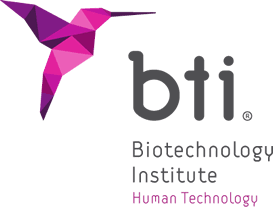 BTI certifies its customers' specific training in the use of this technology. In addition, BTI guarantees the traceability of its materials, and helps transfer all necessary information to its patients.